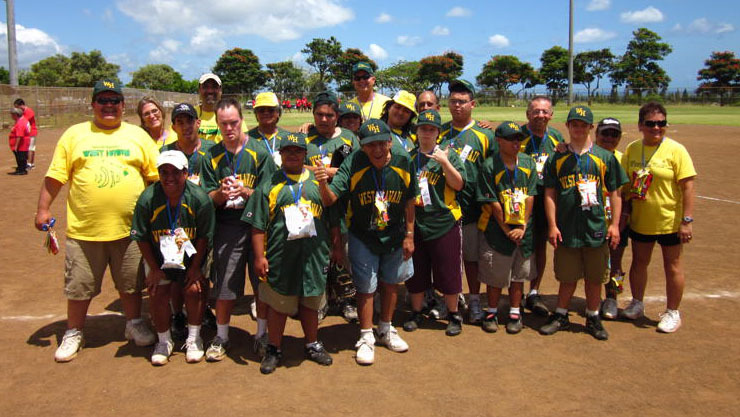 Special Olympics West Hawaii traveled to Oahu May 27-29 to compete in the 2011 State Summer Games. 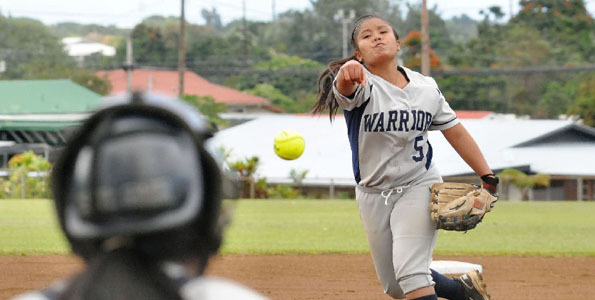 Photos of Thursday’s BIIF softball match between Waiakea and Keaau. UH-Hilo’s junior pitcher Amber Waracka tossed a perfect game in a 5-0 win against the BYU-Hawaii in the first game of a double-header in Hilo Monday (April 11). The Lady Vulcans swept the Seasiders with a 10-0 win in the second game. Kohala beats the Konawaena Wildcats 15-4 in Kapaau. Video highlights. The beginning of March must be something special for University of Hawaii at Hilo’s Amber Waracka as she has been named the NFCA Division II National Pitcher of the Week for the second time in two seasons for games played during the same stretch. 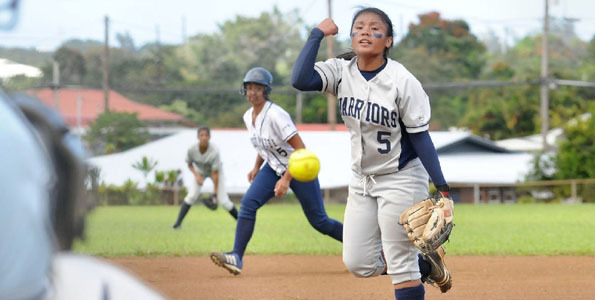 The Waiakea Warriors defeated the visiting Kamehameha-Hawaii Warriors 11-3. 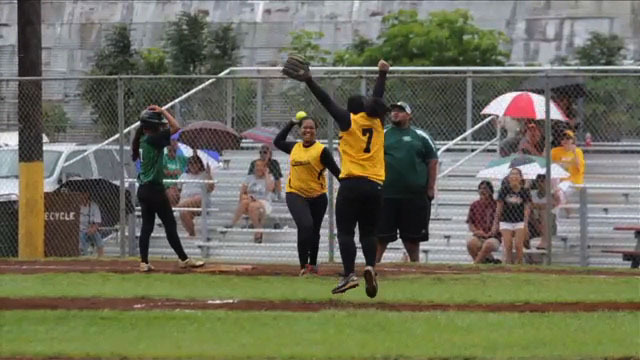 The University of Hawaii at Hilo completed the rarity of taking a softball tripleheader by beating Brigham Young University 8-0 (TKO), 2-0, and 5-2 in Pacific West Conference competition in Laie, Hawaii. University of Hawaii at Hilo junior pitcher Amber Waracka has been selected the Pacific West Conference pre-season Pitcher of the Year while senior outfielder Kanani Numata and junior second baseman Aisha Sueda were first-team selections. University of Hawai`i at Hilo Director of Athletics Dexter Irvin today announced the selection of Jaime Wallin as the women’s softball head coach. Wallin comes to Hilo from NCAA Division I Lafayette College where she guided the Leopards to a 15-33 record this past season.